Click one of the below services for more information. Use the form below to obtain a quotation, or book our team for your event. Upon acceptance of your quotation we will issue a contract & confirmation together with an invoice to secure your booking. There is no obligation and you can talk to our team in person by callin 01727 614 900. Over 500 successful events each year gives us the confidence & experience to deliver. At My Big Day Events we are passionate and dedicated to every aspect of our client's events from the planning right down to the last detail. We have vast experience of events and venues in Hertfordshire, Bedfordshire and Buckinghamshire meaning we can make educated recommendations for you about how to ensure you have the very best celebration possible. We are fanatical about the attention to detail and are dedicated to providing you with outstanding service for your event. My Big Day Events offer a personal, friendly service, ensuring we take the time to guarantee that you are happy with all aspects of the package you choose. If you've got a specific, demanding schedule, or a wide ranging set of requirements we can advise you on the best aproach, and deliver & exceed your expectations. 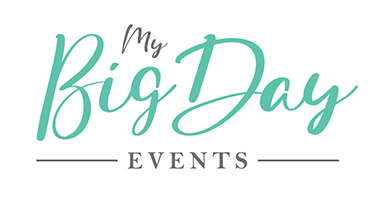 MyBigDay Events provides a fantastic range of professional Wedding Hire Equipment and Entertainment Services to suit all occasions, including; Weddings, Proms, Birthdays, Celebrations, Corporate Events and more. We take the same dedicated approach to every event whether a large scale corporate event or a small intimate function. 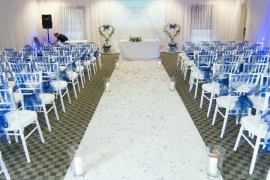 We know that you want your guests to be wowed with the venue and the party and so we have incredible dancefloors for hire, starlight backdrop curtains and mood uplighting, guaranteed to transform any venue We can make sure that your wedding or celebration is as unique as you are and will work with you to make certain your event runs smoothly and will be a memorable night for everyone. We have provided entertainment services for hundreds of events and have lots of satisfied customers, check out our feedback page to read through a selection of these comments. It's a real art to keep your party dancing all night and make sure all the guests are on their feet, but we have the wedding and party DJs to make that happen. Organising Weddings and Events can be very time consuming before you even begin with the entertainment and attractions for the day. So why not let MyBigDay Events, handle all the entertainment needs for you? 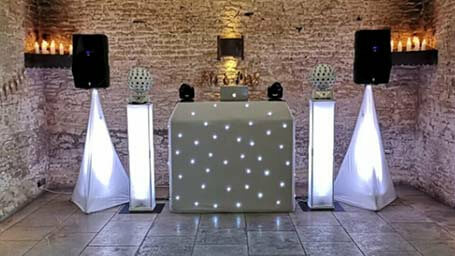 Whether you are looking for wedding dj hire, Dance Floor hire, or Photobooth hire, we have it covered! Take a look at our Packages page for popular options or fill in our contact form for a no obligation quote. As a small team, we offer a friendly, personal service with the time and care taken to ensure you’re happy with every aspect of the music. We’re there from your initial enquiry through to the event itself and can advise on artist selection, song choices, performance times, logistics and anything else relevant to your event. We have years of experience not only as event’s organisers and live music consultants, but as performers too, and we bring this broad experience to your wedding day, party, or venue. The huge benefit of booking with us means that all of your event needs are handled by one expert company, MyBigDay Events. Offering Dj’s to Photo Booths and Dance Floors to venue decoration, backdrops, and mood lighting we can put together the perfect package to transform your event.